The drive to Walker Lake is good except the last kilometer or so. It’s very rough!!! We arrived at Walker Lake and loaded the canoes and headed to the portage. It took us a couple of hours to paddle. We stopped for lunch at Picnic Island. 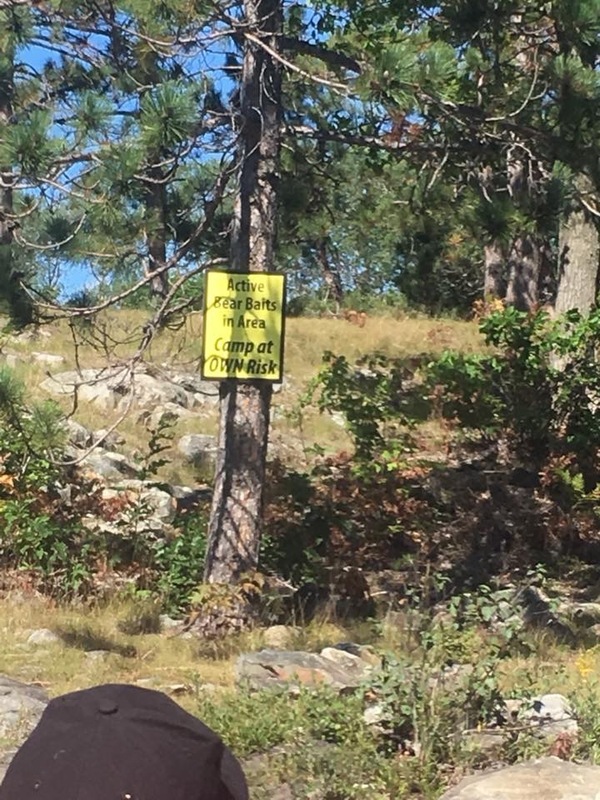 We paddled through Little Bear to Rocky channel and saw a sign “Active bear bait in area, camp at own risk”. We were not too impressed at seeing that sign at all especially on a park campsite. 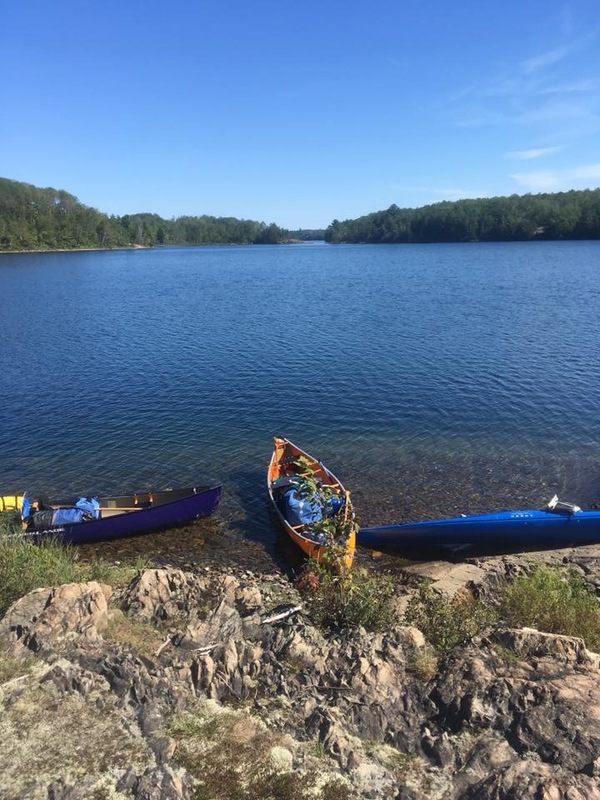 We took a peak at a couple of sites as we paddled through the area and went on to the portage to Van Winkle. It’s not a terribly hard portage, a little steep but not a long one. At the other end of the portage there were boats and canoes lining the shore. We loaded our boats and paddled to the very far island and spent two nights there. 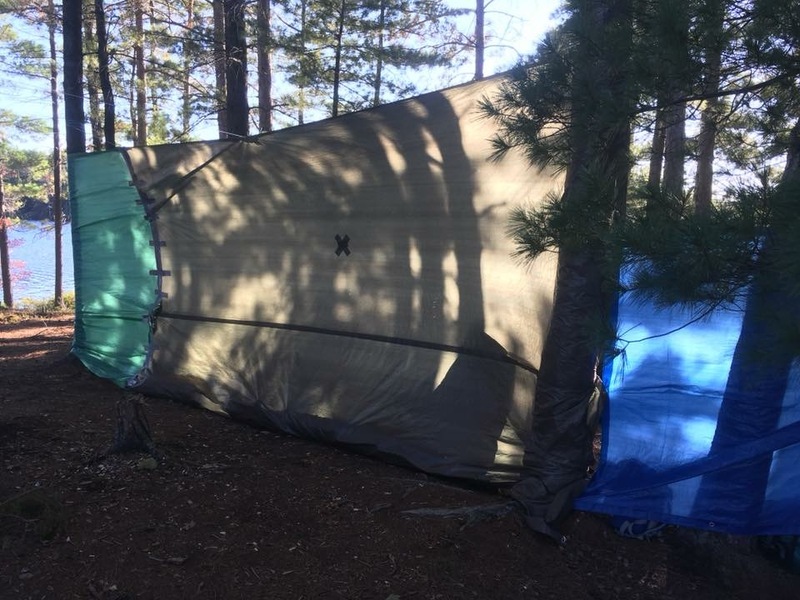 The island has many flat spots for tents. On Saturday we had our coffee and sat around contemplating our day. The wind was fierce so we decided to put the tarps up. Glad we put them up to make a shelter around the fire pit cause the wind was nasty that evening. There were wolvees in the area and they were very vocal!!! On Sunday we packed and headed back to the portage. We paddled down Rocky Channel made a quick stop at picnic island for a rest and snacks then went on to the access point on Walker Lake.